Search engine optimization is a method of getting your website to rank higher in search engines-such as Google, Yahoo or Bing. But for any popular search phrase, you may end up with millions of search results. Research has shown that consumers only look at the top 10 results, which usually show up on the first page of the results. When someone searches for products or services that your business offers, your website needs to be at the top of their search result. Coming up on top in search engines for keywords related to your business will allow prospective clients to find you and will improve your business and brand awareness. Investing in search engine optimization can be a smart move to improve the visibility of your business and getting more clients. Want to See Some of our SEO Results? 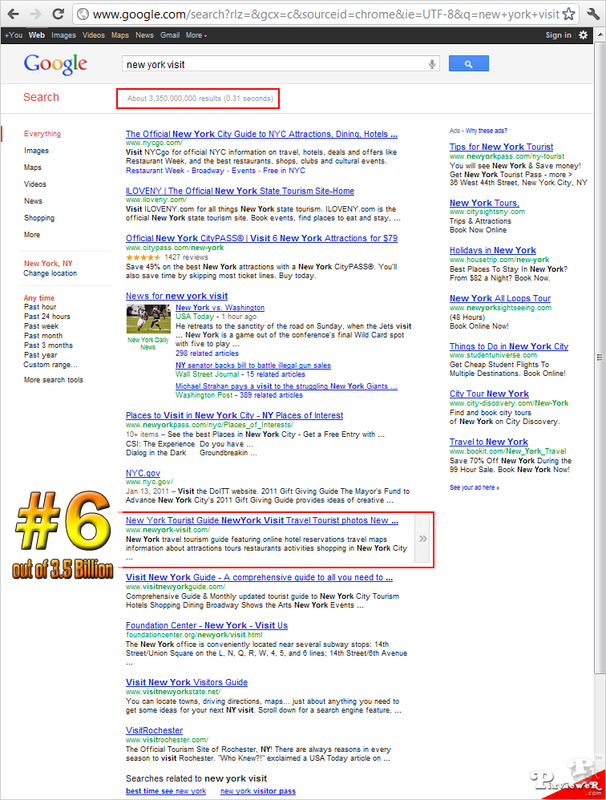 Look here for Google’s most important results on the key phrases we did SEO on: MidasFunds.com, NewYork-Visit.com.. When you work with the SEO team at PixvieweR™, you are working with trained, established and experienced SEO professionals. At the end of every month of our work you’ll get monthly report on work done and results achieved to be always aware of search engine placement dynamics and overall progress. A search engine optimization campaign pairs on-site optimization with off-site tactics, which means you make changes to your site itself while building a portfolio of natural looking back links to increase your organic rankings. SEO helps the search engines recognize your relevance to specific keywords that people search for online. The search engine optimization process includes researching keywords, creating content, building links and making sure your website is visible in the search engines.